Despite acquiring Don Matrrick from Microsoft, Zynga is still in cut-back mode to save money. 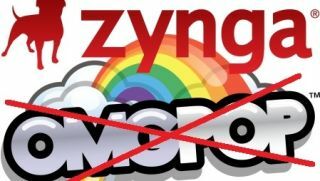 A year after buying OMGPOP for $200 million (about £130m, AU$220m), Zynga is now closing the doors on the game developer. The Draw Something franchise will live on for users to continue guessing away at epic works of art, or the more common stick figures, but Cupcake Corner, Gem Rush, Pool World Champ and Snoops will be no more. Games will be shut down on Aug. 29 and the site OMGPOP.com will be gone Sept. 30. Pour one out for OMGPOP, then read some more blips. Ouya gives miffed backers store credit, but could move jumpstart game sales?